UK based Trailer Stage Services are pleased to offer equipment and services to all uk Trailer Stage owners and users. 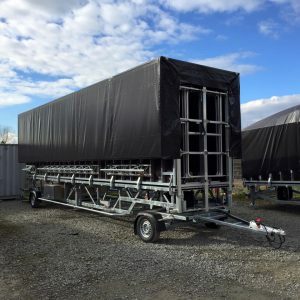 With well over 2 decades of varied Engineering background Trailer Stage Services are fully qualified to be able to inspect, service and repair your trailer stage system. With qualifications from Coded Welding, Engineering and Fabrication, Mechanical Engineering through to Health and Safety and Lift Equipment Inspection (Loler), we have many professional qualifications to cover all basis. We also have many years experience in the hire field, and are ready to help keep your valuable purchase in top condition and ready for the busy season ahead.